← This Dresser is a Statement Piece! My latest project I picked up from a part of town in Atlanta called Bankhead. Bankhead isn’t known in Atlanta as one of the nicest places to shop, but when you are looking for bargain finds, there is a nice old lady who owns a little “garage” on a corner in Bankhead that is always full of fun and unique pieces. 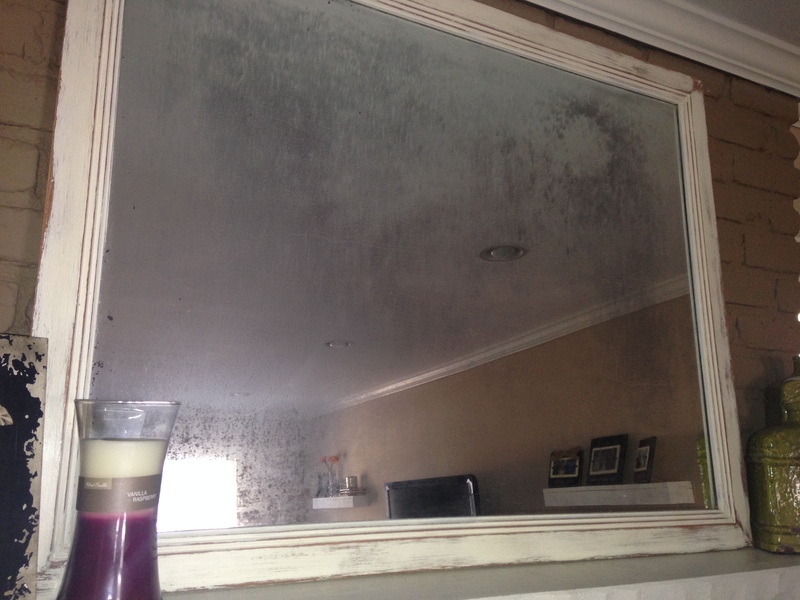 After I got the mirror home, I noticed that there were little black spots on the glass that no matter what I did, were not going to come out. So instead of fighting it, I decided to just “antique” the entire mirror. I have to admit, I kinda got discouraged for a quick moment when searching online, because it seemed like the glass antiquing process was very detailed and would take some time. 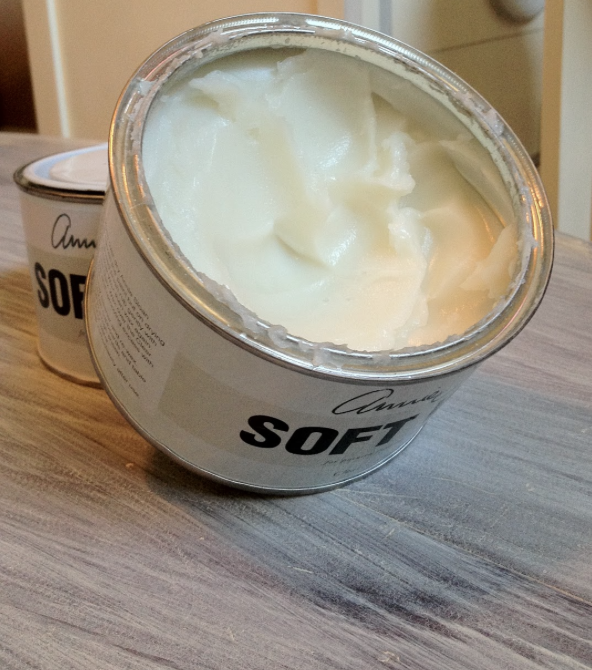 Then I found a very simple DIY trick on One Kings Lane’s Blog. 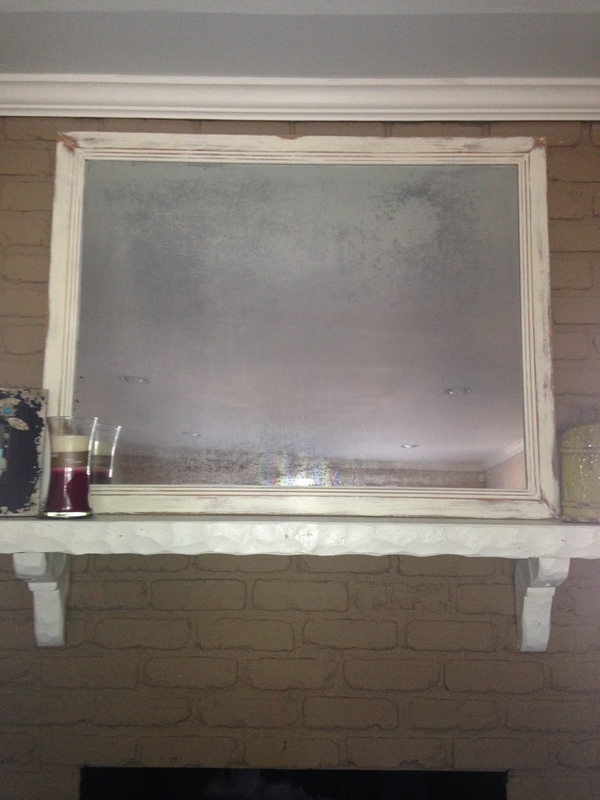 A little vinegar from Walmart and Krylon Looking Glass Spray from Hobby Lobby and I was in business! It worked perfectly! Once the glass was antiqued, I moved on to the frame. 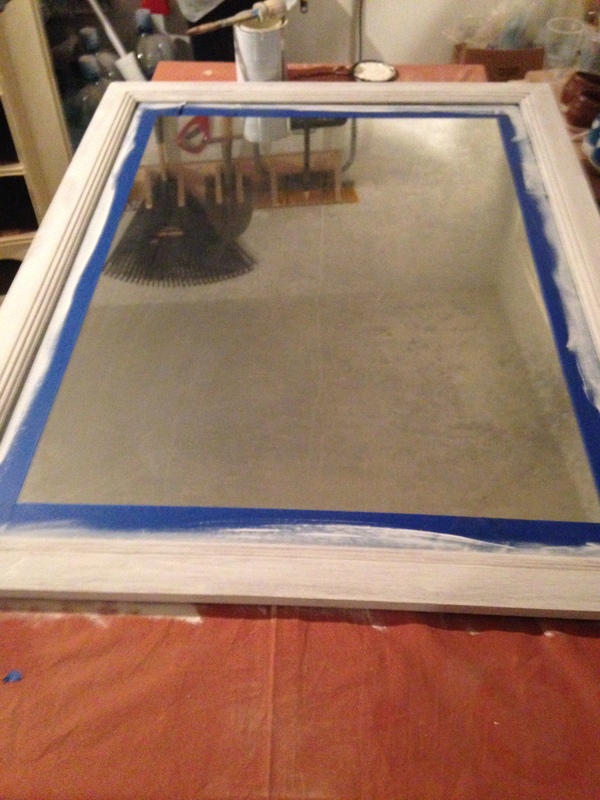 Before painting the frame, I made sure to tape around the mirror so no paint would get on my newly distressed glass. 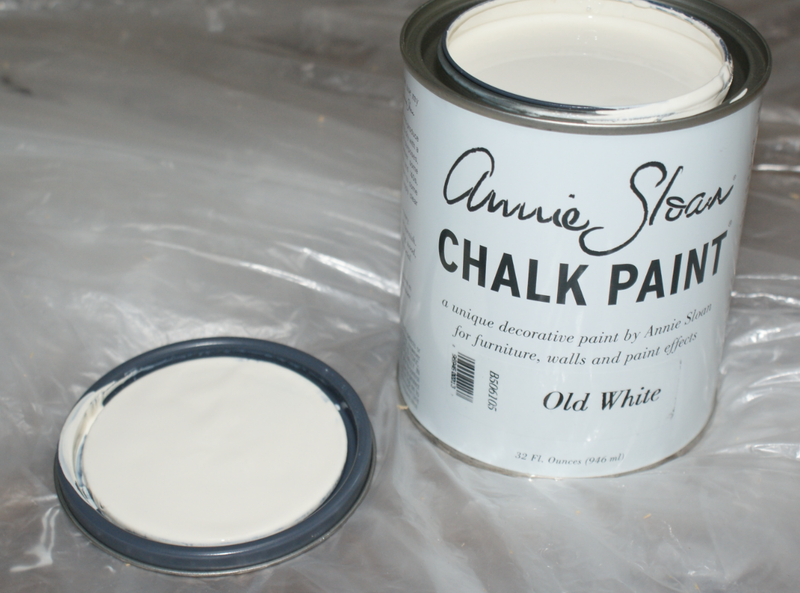 I knew Annie Sloan’s Old White Chalk Paint for the frame would be perfect. 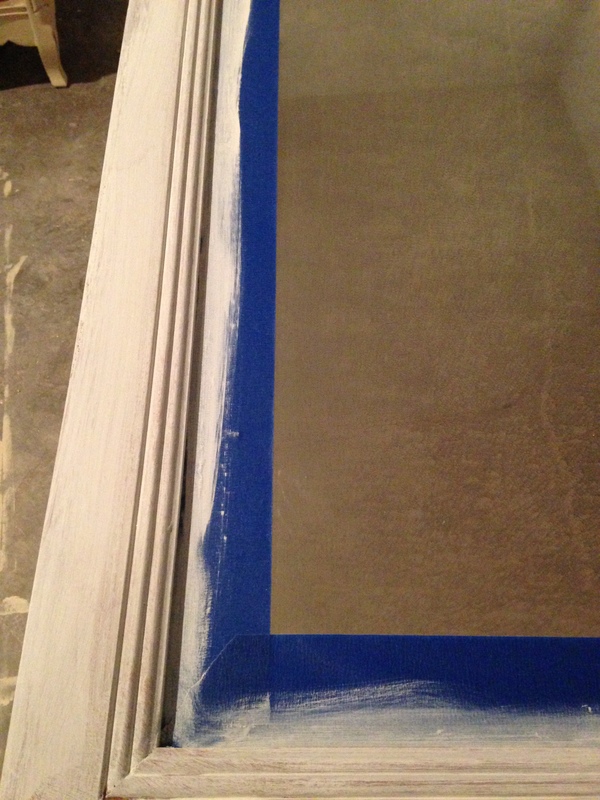 Two coats later…and it was looking great! 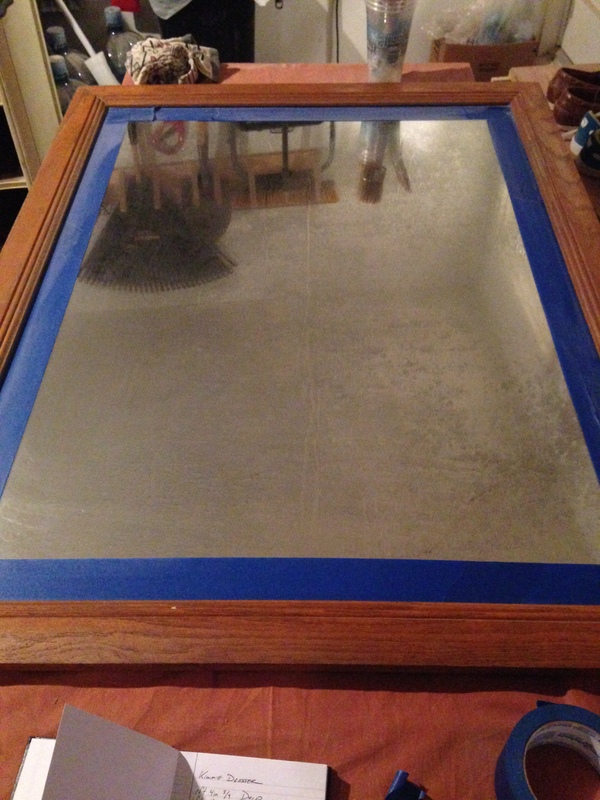 Originally, I thought about upcycling this mirror to then sell. But once I was finished, I knew the perfect place in our home that was calling it’s name. The Mantel! This was a very simple two hour project that I think turned out amazing! 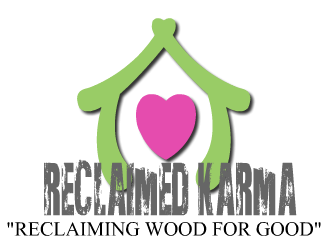 Now on to my next Reclaiming project!